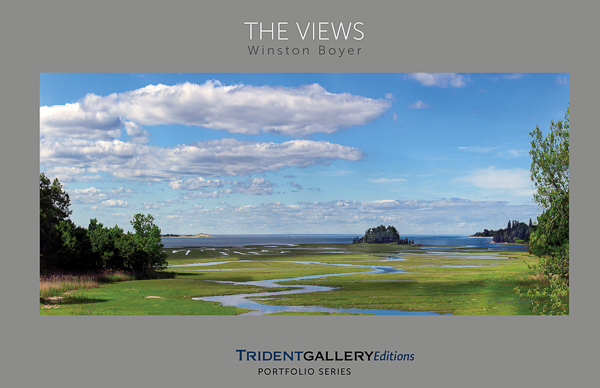 Volume 1 of the Trident Gallery Editions Portfolio Series presents 17 photographs from Winston Boyer‘s series “The Views” in a 17×11 format. 37pp full color. Signed by the artist. 17" x 11", wire-bound, full color, 80# cover stock, satin UV coating on front and back cover. First Edition, First Printing: August 2018. Shipping costs have not been determined yet. Probably about $10. Trident Gallery Editions will contact purchaser with a quotation for approval.